Should I Soak Open Wounds in Epsom Salt? Doug Dohrman earned a Ph.D. in neuroscience from the University of Iowa. Following post-doctoral training at UCSF, he directed courses in neuroscience and histology for first year medical students and has also taught in anatomy, physiology and biostatistics. His research background is in cell and molecular biology and he is currently involved with medical editing/writing. While some health care providers may recommend a warm bath with Epsom salt for conditions such as sore muscles or to relieve psoriasis, soaking opens wounds in the magnesium sulfate compound may be painful and could irritate an open wound. "The best way to clean a cut, scrape or puncture wound (such as a wound from a nail) is with cool water," according to the American Academy of Family Physicians' first-aid tips at Familydoctor.org. "You can hold the wound under running water or fill a tub with cool water and pour it from a cup over the wound." 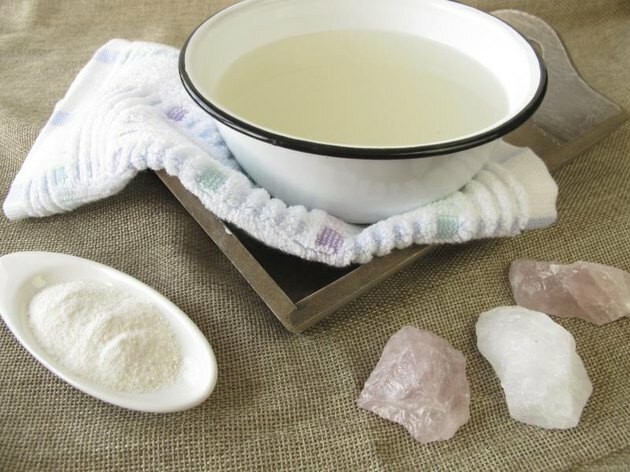 Originally sourced from natural springs in Epsom, England, hundreds of years ago, today you will find Epsom salt widely available in every drug store and even many grocery stores. Chemically, it is simply a salt that breaks down into its components of magnesium and sulfate when dissolved in water. In theory, some people believe that the magnesium and sulfate would be absorbed through the skin to work their magic on sore muscles. There is no published evidence, however, that the body absorbs magnesium and sulfate in that manner; in fact, skin generally works to prevent things from getting into your body. That said, soaking in warm water can relax you and perhaps soothe aches and pains. Magnesium is an important cofactor for many enzymes in the body and is required for the metabolism of carbohydrates and fats and in the production of energy. Magnesium is also necessary for the synthesis of DNA, RNA and proteins, plays a structural role in the body and is important for cell communication. Sulfate is also involved in many biological activation and detoxification processes in the body and is an important component of four amino acids. 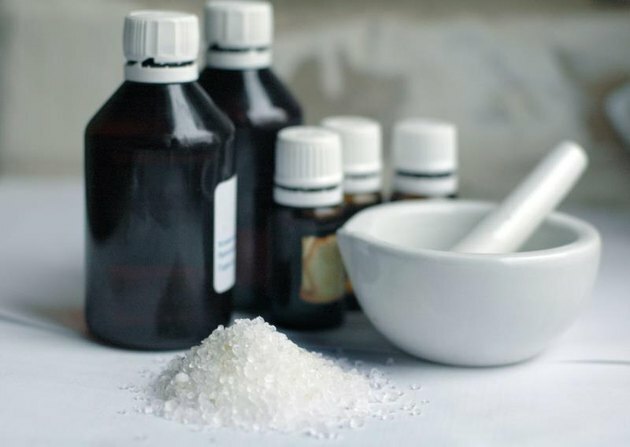 Does Epsom Salt Work for Wound Care? While there are many home-remedy claims associated with Epsom salt, there is no clear scientific evidence that an Epsom salt soak does anything at all. Salt could certainly make an inhospitable environment for bacteria and the warm water could increase blood flow to the area and possibly speed healing. One study published in the International Journal of Molecular Medicine in 2012 found that another type of salt water, also containing magnesium, improved skin regeneration when tested on rabbits, and sterile saline solutions are frequently used to irrigate wounds, removing dirt and debris. There has been little research on the effects of Epsom salt on open wounds, however. In fact, the American Academy of Family Physicians recommends that wounds be kept dry to facilitate healing. A brief wetting, such as in the shower, is acceptable, but prolonged soaking should be avoided. Wound Cleansing: Water or Saline?